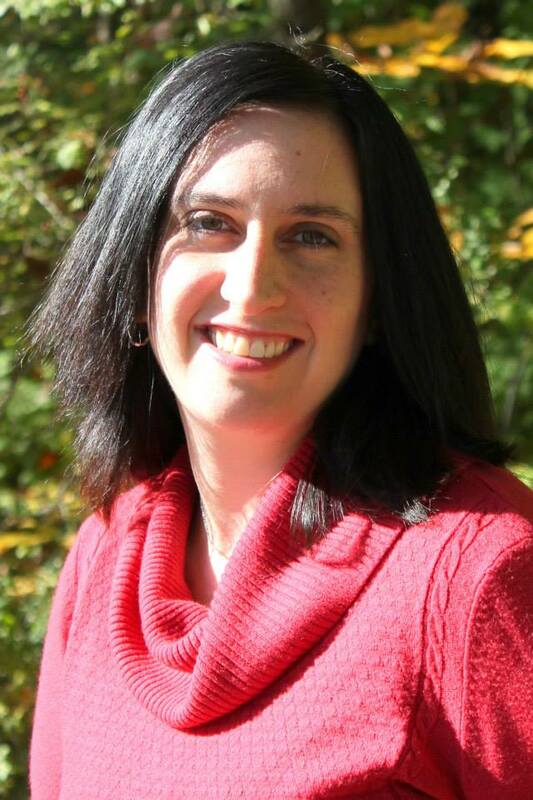 Author Gail Nall, BREAKING THE ICE, & a Giveaway! 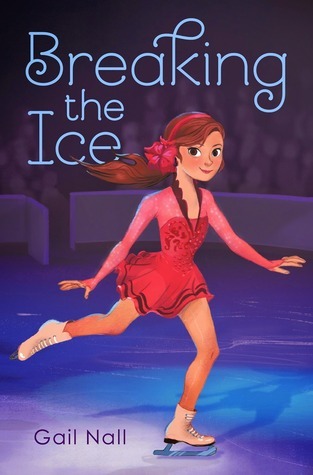 BREAKING THE ICE is about twelve-year-old Kaitlin, a dedicated competitive figure skater who makes one huge mistake and finds herself starting over with a rink full of the sport’s misfits. As she struggles to learn a new program and find her artistic side, she starts making the first real friends she’s ever had. But when she finds out that the other skaters target her new friends, Kaitlin sets out to prove everyone wrong – about herself and her skating club. BREAKING THE ICE is a fun book about friendship that also gives a behind-the-scenes look at the world of competitive figure skating. The mountains. Preferably somewhere in Colorado or Wyoming. I’d never been out west until a road trip in 2010, and I fell in love with those mountains. There’s just something about the immensity of that landscape, the quiet, the peacefulness, even the lurking danger (there aren’t any grizzlies in Louisville!). I remember thinking that I could easily wake up there every day and never get tired of it. Something about the mountains settled into my soul, and I hope it never leaves. Those feelings inspired a middle grade novel I wrote that’s coming out in the fall of 2016 (OUT OF TUNE), which largely takes place in Yellowstone and Grand Teton National Parks. Oh, wow, I could write an entire book on this! So first, I started writing in 2006, and it was seven years of writing and querying and writing something new and querying and on and on until I found an agent. That timeframe encompassed a few of the most challenging years of my life (think job loss, financial hardship, miscarriage, cancer, and disintegration of a marriage, all shoved into three years). Writing became my outlet, my hope, and I think it saved my sanity. No matter what was going on in my life, I could still write a scene, finish a novel, send out some queries, get some rejections. And wow, did I get some rejections. I got a LOT of rejections over the course of three manuscripts. I was one of those people who queried and queried a manuscript until I ran out of agents. When I finally found the right agent, we collected a tidy pile of rejections on the manuscript she first sent out on submission. I got a R&R, and that didn’t work out. It was the third manuscript I had written – the second one that she sent out on sub – that landed a book deal. I like to tell pre-published writers that while, yes, you need a great book that’s well-written, half of the road to getting published is sheer persistence. Not giving up, no matter how many rejections you accumulate. You make yourself annoying (in a good way) and you keep working until you make it happen. I’ve tried my hand at historical, but have never finished a manuscript. I adore contemporary, but historical fiction is probably my true love (please don’t tell my published books!). I have a bachelors and a masters in US history, and to me, history is this vivid, living thing. I love the detail. I love that it’s this whole other world that feels so different and strange and, bonus – it actually happened! So, I’ve tried to write a couple of historical novels, but found myself running into research problems. Now, I love to research, but there’s also a fear that I’m missing something. And I find that with historical, where the research is so crucial, that fear took over my desire to finish the books. As someone who’s studied history in an academic setting, I found that while I knew quite a lot about cause and effect and trends through time and repercussions of political choices, I knew squat about what people ate for dinner in 1876 or how they cooked it or how they brushed their teeth (or didn’t brush their teeth). It was these minute details that both fascinated me and frustrated me. They were things I knew would take meticulous research to get straight, and honestly, the possibility of getting it wrong terrified me. Maybe one day! I’m one of those writers who doesn’t show a soul her first draft. I revise at least once, sometimes twice, before I let anyone read. I do have a monthly critique group who reads a chapter at a time, but I also have two people who usually beta read an early draft for me. Jen Malone, who I met in a writing contest online in 2012, is an amazing beta reader, a great friend, and we’ve even co-authored two books together! (The YOU’RE INVITED series.) Jen is so good at finding my plotholes and questioning my characters’ motivations, plus she leaves me funny comments. And then Abby Cooper, who I mentored in the online Pitch Wars contest in 2013, is my other first reader. Abby’s smart and has amazing intuition about plot and character. Her MG debut, STICKS AND STONES, will be out from FSG next summer. I’m also part of a wonderful, talented beta reading group, the MG Beta Readers, and many of my secondary readers come from that group, along with a couple of other good writing friends I’ve made along the way. My YA debut, EXIT STAGE LEFT, is coming out in September! I’m crazy excited for it. It’s about a girl whose entire life plan falls apart when she loses a key role in her arts school’s musical, and so she goes searching for a new passion. And there’s a lot of romance and fun theater stuff. This book has so much history behind it. I started writing it in 2007 as a middle grade novel, and it’s seen so many variations of itself. I’m thrilled that it will finally be out in the world! Next year, I have two MGs scheduled to release – YOU’RE INVITED TOO will be out in February, and then OUT OF TUNE will be out in the fall. Right now I’m working on a YA novel that I’m head over heels for – to the point that I don’t want to do anything else but write it. It’s a nice feeling to have! Thank you Gail for stopping by today — good luck with all those book birthdays! GIVEAWAY: Comment on this post by Noon (EST) on Friday, July 17th to win a copy of BREAKING THE ICE and YOU’RE INVITED (U.S. only)! Follow The Debutante Ball on Facebook and Twitter for extra entries—just mention that you did so in your comments. We’ll choose and contact the winner on Friday. Good luck! Gail Nall lives in Louisville, Kentucky with her family and more cats than necessary. She once drove a Zamboni, has camped in the snow in June, and almost got trampled in Paris. Gail is the author of the Aladdin/S&S middle grade novels BREAKING THE ICE and YOU’RE INVITED (co-authored with Jen Malone), and the forthcoming YOU’RE INVITED TOO and OUT OF TUNE, both from Aladdin in 2016. Her young adult debut is EXIT STAGE LEFT, coming from EpicReads Impulse/HarperCollins in September 2015. You can find her online, on Twitter, Facebook, and Goodreads. I love Gail Nall and love her writing. Can’t wait to read EXIT STAGE LEFT in September! Following on Facebook and Twitter. Always looking for books for my kiddos! Always looking for good books for my girls to read and Breaking the Ice sounds like one of those. Not a twitterer but I’ll be following on FB soon! My daughter loves to ice skate! Following on Facebook. Sounds like a fun read! Following on Facebook and Twitter, as well. Thanks!